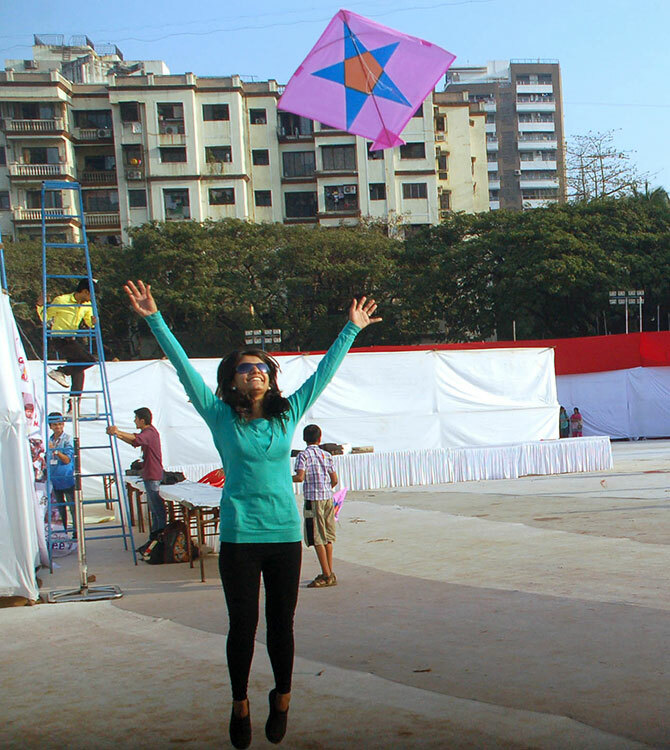 Uday Kuckian/Rediff.com brings you glimpses Of Makar Sankranti, the kite-flying festival. As winter fades and the sun's warmth begins, India celebrates one of its oldest and most important festivals. A harvest festival that heralds Spring, new crops and rejuvenated Nature, it is known by different names across India. If it is called Makar Sankranti in Maharashtra, it is called Makara Sankramana in Karnataka. Gujarat celebrates the coming of spring with... nope, not Vibrant Gujarat... The festival is known as Uttarayan in Narendra Modi's home state. While Tripura celebrates it as Poush Sankranti, Tamil Nadu celebrates it as Pongal. This is one the biggest festivals in Tamil Nadu (read more here). The other does not have a name or a date. It takes place whenever a Rajinikanth film releases. Makar Sankranti coincides with the day the sun leaves the Tropic of Cancer and begins to move towards the Tropic of Capricorn (called Makar in India). 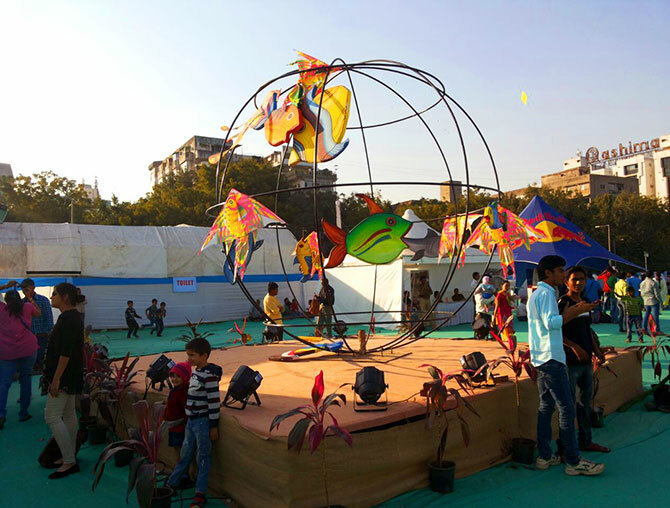 Flying kites is an integral part of the Makar Sankranti celebration in Gujarat and Maharastra. Makar Sankranti marks the beginning of the harvest season. The agricultural community celebrates the end of the harsh winter and prays for a bountiful harvest. On this day, people celebrate by flying kites of different shapes, sizes, colours and textures. 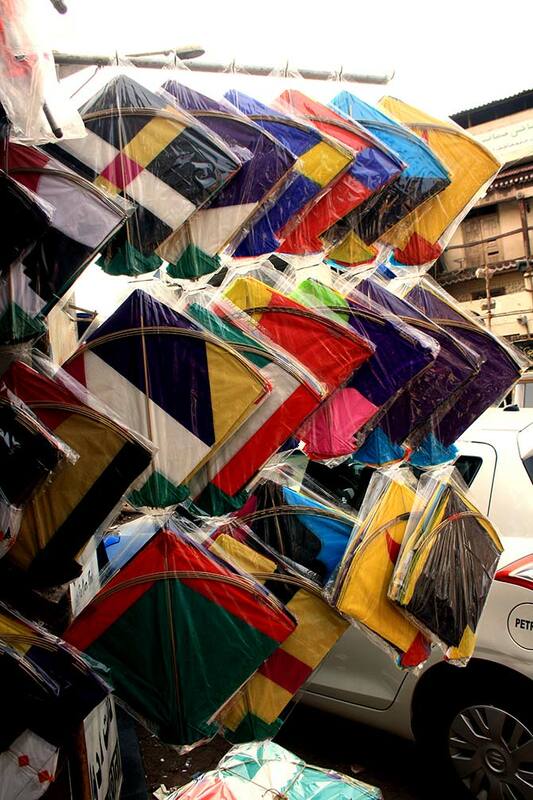 In Gujarat, it is believed that kites are flown to wake the Gods from their winter slumber and bless farmers's harvests. In Tamil Nadu, Pongal is celebrated as a three day festival, where many kinds of special dishes are prepared and offered to the Gods. In Maharashtra, Til Gul (a sweet made of sesame seeds and jaggery) is prepared to mark the harvest of the first sugarcane crop of the year (jaggery is made from the juice of the sugar cane), while the sky is filled with kites of different shapes and colours. The skies in Gujarat and Maharashtra transform into a colourful battlefield on Makar Sankranti. 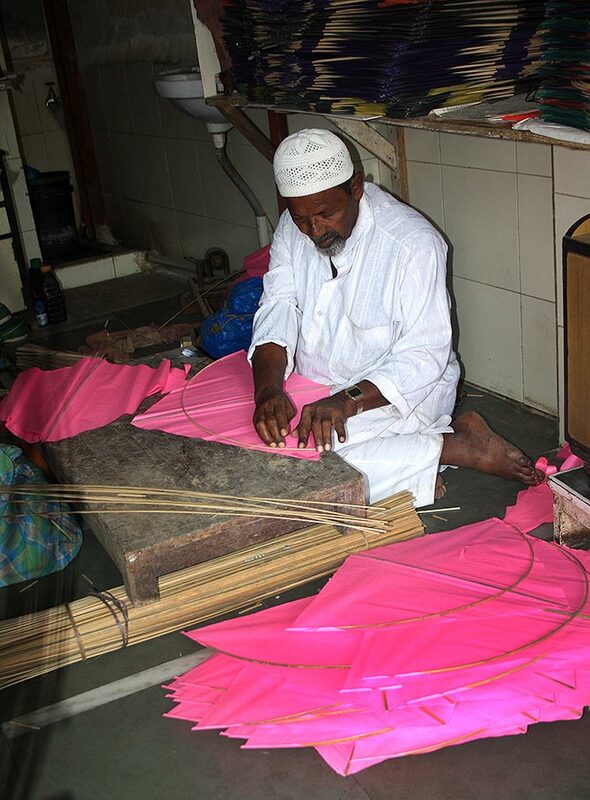 With a few deft moves, Pir Mohammed quickly transforms thin, brightly hued squares of paper and strips of bamboo into a kite. 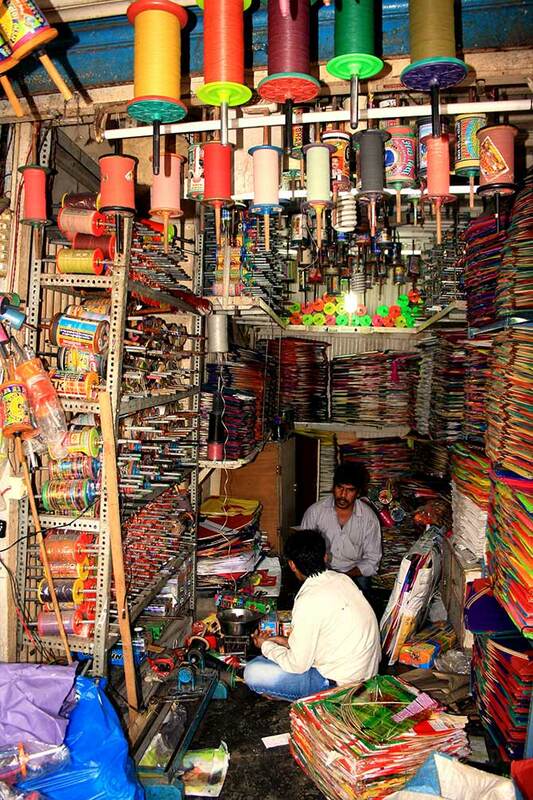 He owns Famous Kite Centre, one of the oldest kite-selling shops in Mumbai. It has been around for nearly 80 years now. 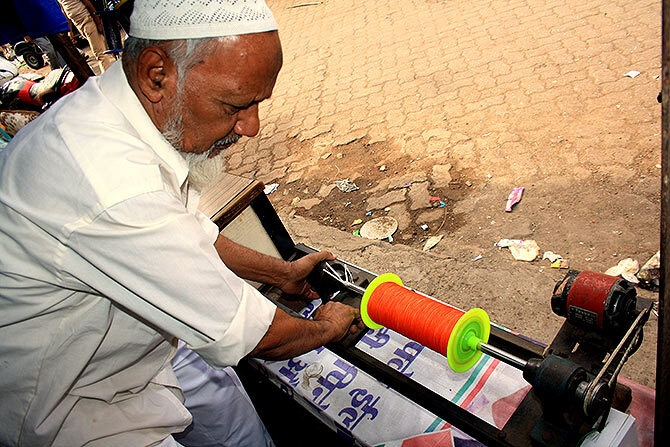 Shaikh Ali, who also deals in kites, fills brightly coloured spools with equally brightly coloured thread (manja) that is used to fly the kite. Here's what the finished product looks like! 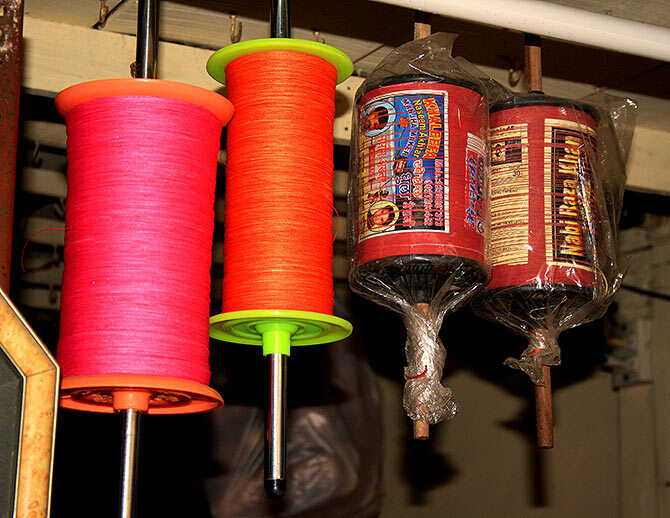 Colourful spools, and their different coloured threads, make an inviting picture. But don't under-estimate them. Very soon, they will be engaged in a fight and slash the unwary kites that come their way. 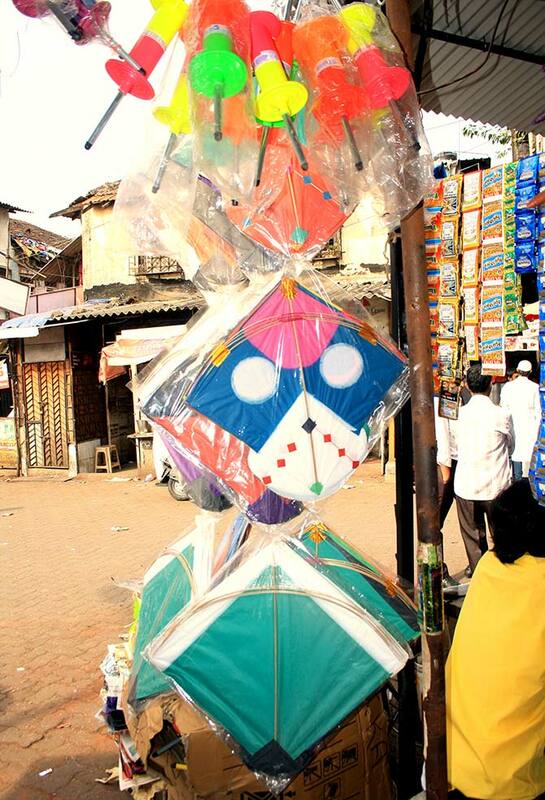 Indian Fighter Kites, which is also located in Bandra, suburban Mumbai, is another popular destination with kite lovers. The shop has been in existence for 52 years now! We take a quick peek inside the shop. Every available nook and cranny is packed with kites and spools. Don't you feel these kites are itching to fly free in the sky, vying to become the masters of azure blue? In Gujarat, where kites are flown from every terrace and every open space, kite-flying is both a passion and an art. 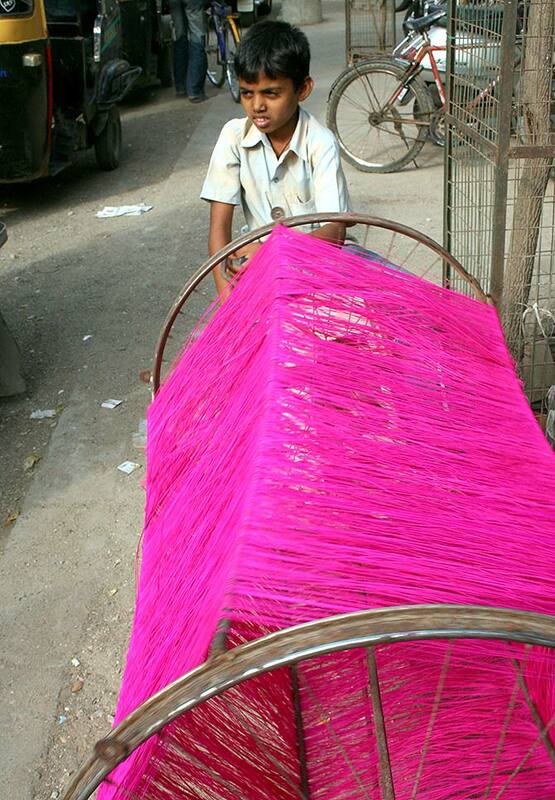 The manja (thread used to fly kites) is specially prepared with glass dust and colour before they are kept out to dry. Unfortunately, these glass-coated threads prove dangerous for birds and many get injured during the festival. 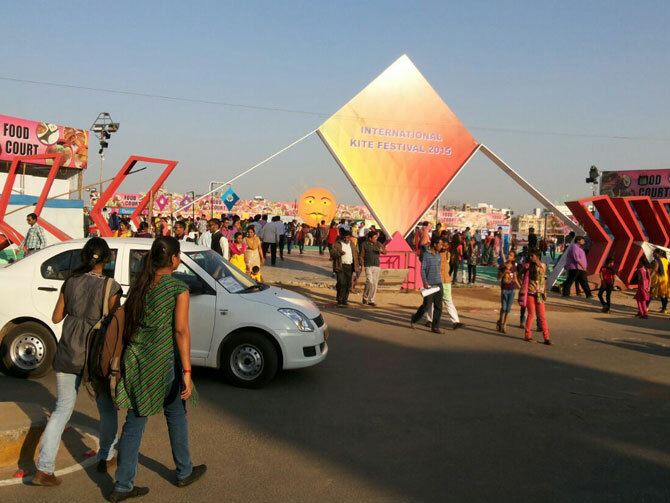 Gujarat hosts an International Kite Festival every year that attracts a stream of visitors, both from India and abroad. Here's a glimpse. Last Makar Sankranti, Salman Khan courted controversy when he flew kites with Narendra Modi as part of the promotional strategy for his movie, Jai Ho. The International Kite Festival has mounted displays of the various kinds of kites you will see here. Pongalo Pongal! Tamil Nadu's biggest festival is here!